Fifty-five piers. Two weeks. One eccentric road trip. 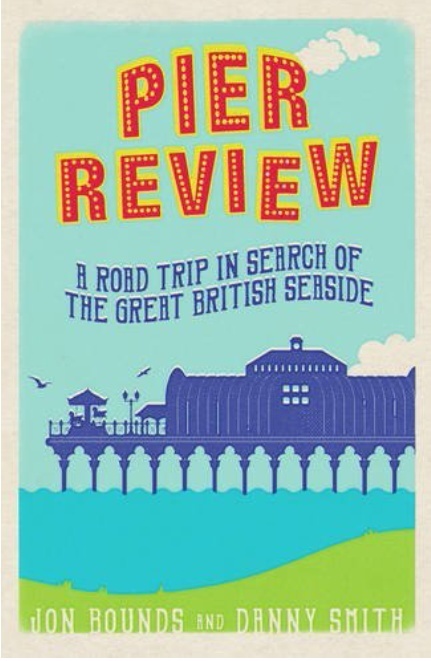 Before the seaside of their youth disappears forever, two friends from the landlocked Midlands embark on a ill-advised journey to see all the surviving pleasure piers in England and Wales. With a clapped-out car, and not enough cash, Jon and Danny recruit Midge, a man they barely know, to be their driver, even though he has to be back in two weeks to sign on… Jon and Danny invite us to join them as they take a funny and nostalgic look at Britishness at the beach, amusement in the arcades, and friendship on the road. And on iBooks and from yer independent bookshops. We won't spam, just keep you up to date.